The musician talks about what inspired his children's book The Boy Who Walked Backwards. 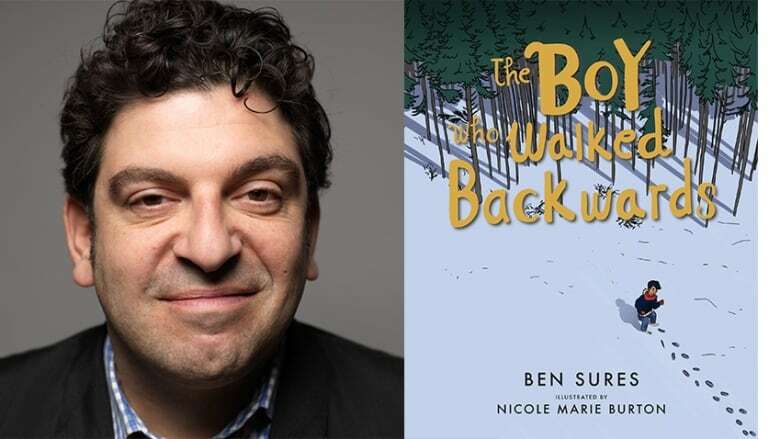 Ben Sures's book, The Boy Who Walked Backwards, is based on the true story a friend of Ben's told him about her father Leo, who was of Ojibwe descent from northern Ontario's Serpent River First Nation. Leo used his wits and smarts when he found a creative way of fooling the nuns who came to take him back to residential school in the 1960s. Sures talked to The Next Chapter about writing The Boy Who Walked Backwards. "I used to play music with a guy named Dave Mowatt. He moved back to Ontario where he married Janet Day. Dave was a good friend of mine and so Janet became a good friend of mine. I was out there for their wedding. I got to play music on stage with Janet's father Leo, who is old-time fiddler. We met on stage and just played and it was really fun. I learned all about Leo's background over the years, including his past experience with residential schools." "The story became a song because I'm primarily a songwriter and singer. I just always thought it would be a good kid's book about a young boy who is taken from his home [and sent] to residential school. The kids, including Leo, are brought back to their homes on the Christmas break. Leo decides he does not want to go back to the school, and on the last day of the Christmas break when they are coming to collect all the kids, he gets up really early. When he walks out of his house he walks backwards into the bush and waits. "He waited in the forest and eventually they gave up and left. And he never went back to residential school. As a result, he kept his language and his kids are fluent. He grew up to have a very successful life." Ben Sures's comments have been edited for length and clarity.